Crime Scene Investigation workshops for adults and corporate events, schools and kid's parties. 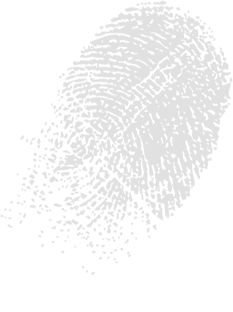 The Detective Project offers forensic science-based events that explore the way in which crime is investigated in the 21st Century. 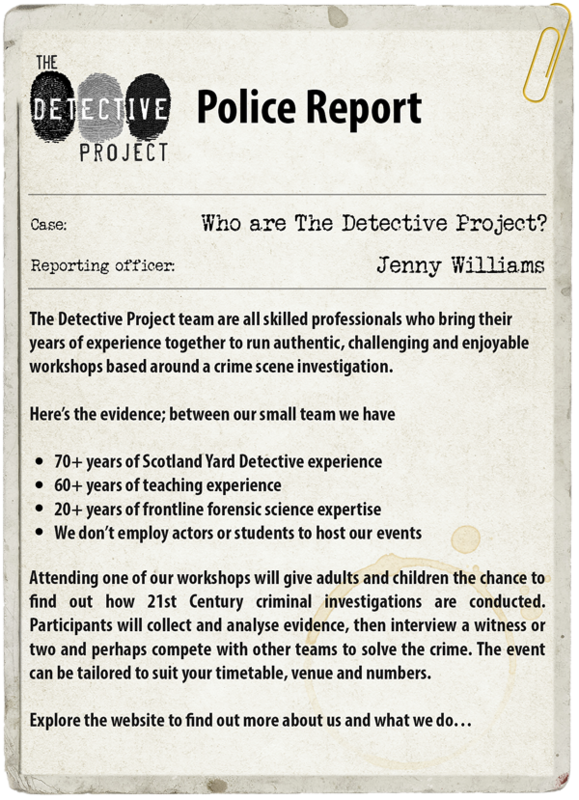 The Detective Project's award-winning events are based on real forensic investigation techniques and are great fun for children and adults alike. The workshops are the perfect idea for kids parties, school activities, youth groups, grown-up parties, corporate or team-building events. We currently operate in and around the West Country, London & South East and Yorkshire. We enjoy going on road trips to other areas too. Investigate the range of activities we run for adults and children, find out more about our experienced team and read about recent events we have organised. 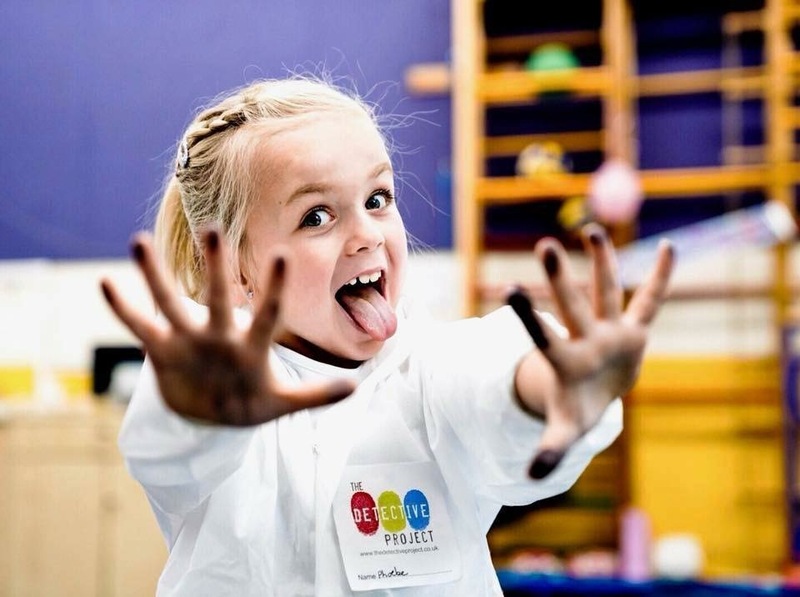 Fun parties for 7+ year olds to solve their own crime or spy mystery by getting hands-on with real investigation techniques. Party bags and invitations included. 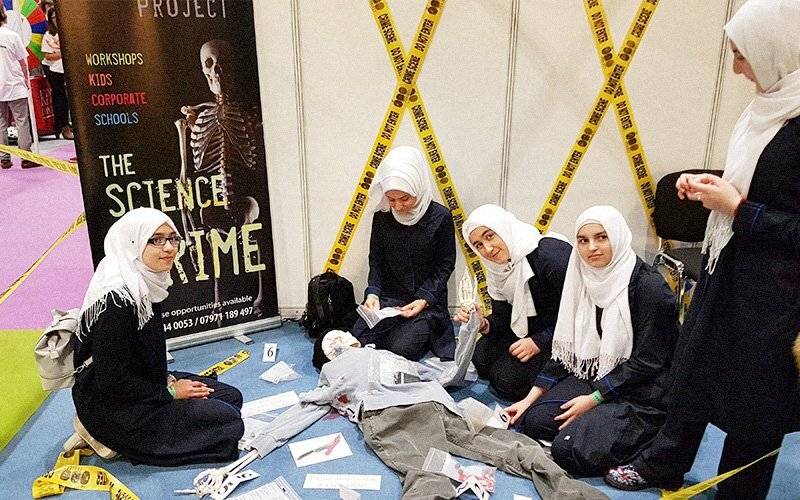 Hands-on crime scene based workshops for KS1 through to A level. Sessions last from an hour to a day or more and can be tailored to the school curriculum requirements and timetable. 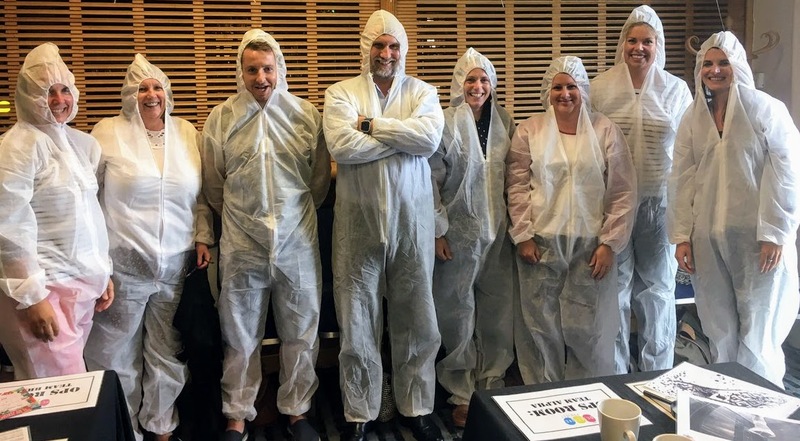 If you would like a different team building workshop this year - a crime scene investigation will bring out the inner sleuth in your colleagues. Alternatively, get some friends together for a really fun party. Mary and Cath were filmed by BBC news whilst running a kids party. 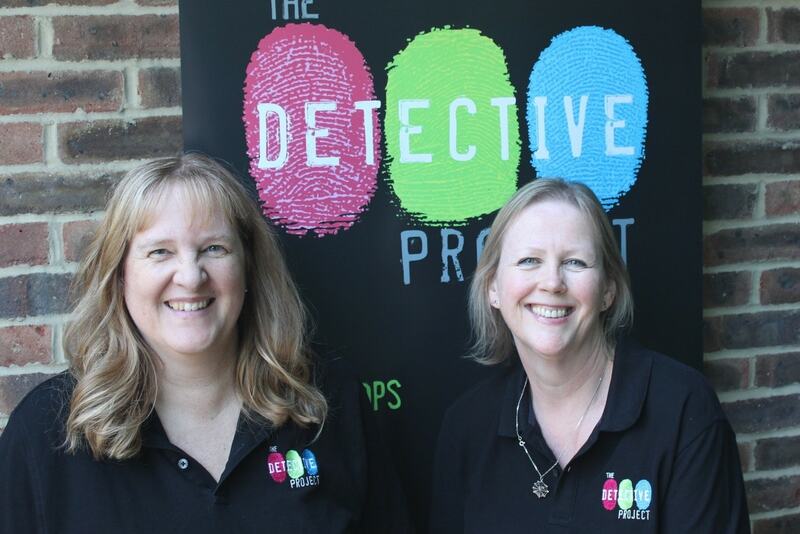 Mary was then interviewed about joining The Detective Project and why they chose franchising. Watch the full clip on our Blog page.